On Sunday 10th December was Oopsie Daisy Flowers first ever workshop, despite the freezing temperatures it was a great success! 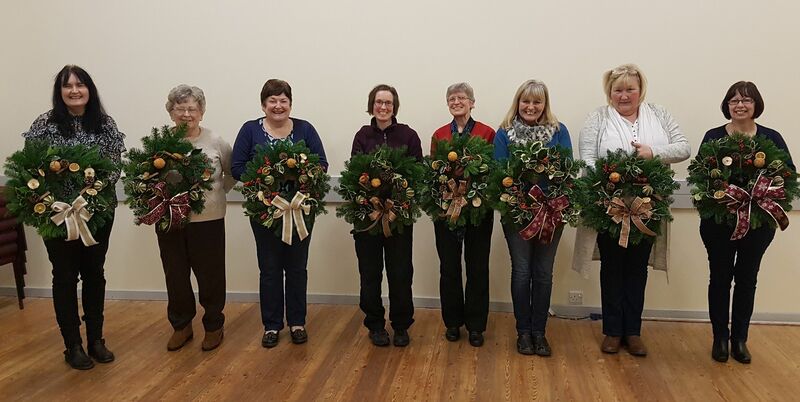 Each of the 8 lovely ladies that attended Great Orton village hall were given the opportunity to create a Christmas table centrepiece and decorate a festive door wreath. I demonstrated to the group step by step how to place the greenery and flowers into the arrangement and although everyone’s turned out a bit different they all looked beautiful and will look great as their table centrepiece. Before tackling the festive door wreaths, we enjoyed tea, coffee and refreshments, we especially liked the cupcakes baked by my Mam, who also helped by serving the tea and coffee. Before decorating the spruce wreaths, the ladies had to get the hang of wiring every decoration so it could be placed securely. Once they had this technique mastered, we added sprigs of holly and berries. Next we used a variety of dried fruit, cinnamon, pine cones and a big bow. 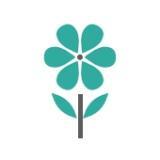 The ribbon seemed to be the biggest challenge for most.